Editor’s Note: Two people dared face the uncertainties of hidebound society to bring fulfillment to their love; they did not quibble with details, no matter how painful; they said, “This is the most important thing–we must be brave enough for it.” Then, unexpected and more devastating than the pressure of society, came The War–the real villain in this true drama of despair–and hope. The part this villain plays and how it affects their future they here reveal for the first time. 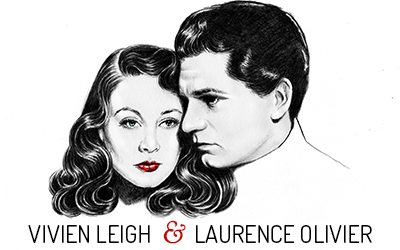 Come September, they will be free, at long last, to become Mr. and Mrs. Laurence Olivier. In the mean time, no two people have ever been the target for such a bombardment of questions: Why isn’t Larry in England now, fighting for his country? Where is Vivien’s little girl? Where is Larry’s little boy? Will Vivien give up her screen career if her beloved one is drafted into service? Are they ever going to do another picture together? Where will they be married? Etc., etc., ad infinitum. Now, I am no John Kiernan, but I have correct answers to every one of these questions. They were told to me exclusively by a couple of experts–Vivien and Larry themselves. I have known larry ever since he first arrived in America to appear in “Murder on the Second Floor.” Vivien I met when she joined him in Hollywood last spring and being a friend of Larry’s automatically made me her friend, too. Larry, needless to say, had prepared me for the most divine creature on earth and I can’t think of any higher compliment to pay Vivien than to say that Larry had not in the least exaggerated! Recently, the three of us met for tea and over scones and marmalade we talked far into the fading sunlight. “I’m not in England now because I have received official instructions to remain here,” Larry explained. “Until the time when my age draft is reached, the British government has assured me that I can do more by promoting good will and raising funds on this side of the Atlantic. When Larry is called he would like to be of some practical use. That is why he is spending every minute of his leisure time taking flying lessons. With such preparation, he can enroll in the Royal Air Force and it won’t have cost the government anything to train him. Recently he took his examinations at Dobbs Ferry, passed with flying colors, and is now a licensed pilot. Looking at this cameolike creature, it was hard to visualize her piloting a bomber. 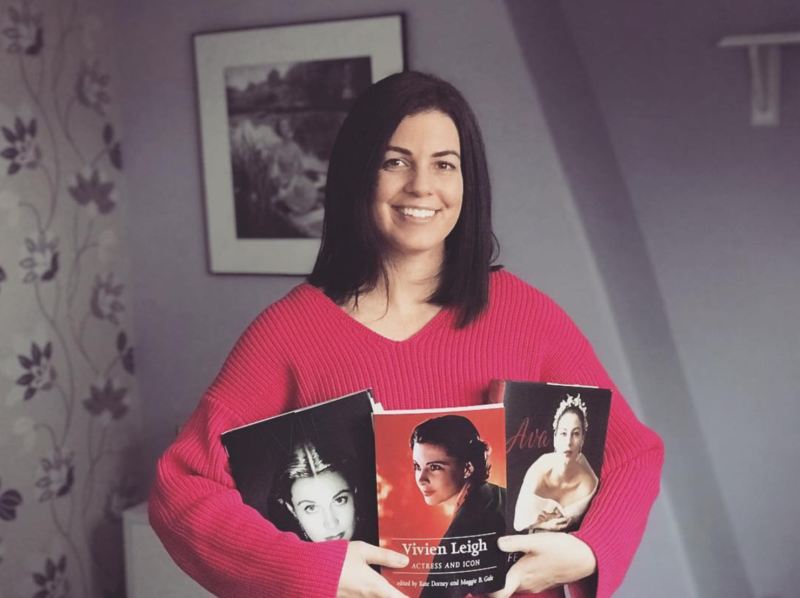 Yet, knowing of her overwhelming love for Larry, it was easy to understand that to be near him she would brave any danger–sacrifice everything, including her career, which at the present moment is the most enviable of any actress in Hollywood. Just how nerve-racking these separations are for both of them I know to be fact, not fiction. Last year, when Larry was playing on Broadway in “No Time for Comedy,” he was the Dream Prince of every female from six to sixty. Stage and screen success, fame and fortune were his, yet I’ve never seen a more unhappy person. His beloved Vivien was 3,000 miles away. By the same token, Vivien, who had been given the most sought-after role of the year, was equally miserable. She had come to Hollywood only to be with Larry and now they were separated at a time when by all the laws of averages they should have been the two happiest people in the world. Now that they are reunited, their complete happiness is again threatened by conditions abroad. But with that reserved calm so characteristic of the British they are gallantly “carrying on” with no outward display of the fear that haunts their every waking hour. Whereas under the ordinary circumstance they would shrink form personal appearances, no matter how large the emolument, they never refuse a request in the name of charity or patriotism. Not long ago, in company with Cedric Hardwicke, Anna Neagle and Ned Sparks, they made a special trip to Toronto where in one afternoon they appeared at eight different cinemas to help raise funds for their homeland. Not content with merely coming out and taking a bow with the usual insanities of most personal appearances, Vivien gave Noel Coward’s famous toast scene from “Cavalcade” and Larry delivered that thrilling speech from “Henry V,” …Once more unto the breach…” $500,000 was raised–enough to send five bombers to England. Several weeks prior to this trip to Toronto, Vivien and Larry had visited Canada to find a haven for their children–Vivien’s six-year-old Suzanne and Larry’s four-year-old Simon, offspring of their former marriages. Little Suzanne is with her maternal grandmother, Mrs. Hartley, and Simon is in the custody of his mother, Jill Esmond. Both children will remain here “for the duration.” Hollywood will see neither of them. As this is being written, Larry and Vivien are deep in production of their first co-starring vehicle in America, a screen treatment of the famous love affair between Lord Nelson and Lady Hamilton. It is their first reunion with Alexander Korda, in whose British-made production, “Fire Over England,” they first met. Beyond this, their plans are as indefinite as tomorrow’s headlines. Of course, this isn’t deterring Alexander Korda and David Selznick from lining up commitments for them. If they don’t return to England, and if Vivien can be temporarily released from any one of her two contracts, they’d like to have another fling at the legitimate stage. The beating they took, both financially and professionally for Romeo and Juliet hasn’t discouraged them. Naturally, at first, they were terribly hurt and bewildered by the panning they received. Their sincerity was misconstrued. They were criticized as two motion picture personalities–Scarlett O’Hara and Heathcliff–trying to cash in on their screen reputations. What seems to have been overlooked is that Larry is well known as a Shakespearean actor in England, having played many roles at the Old Vic, traditional theatre for England’s finest Shakespeare, and received superb notices. “And Vivien is the most thorough student of Shakespeare of any young actress I know. I only wish you could have been at Elsinore three summers ago, to have seen her as Ophelia!” And Larry’s grey-green eyes danced with excitement at the memory. But if “Romeo and Juliet” didn’t achieve happiness at the hands of Shakespeare–and the critics–their real-life counterparts will. Free to marry in September, they have not yet set the wedding date; they will not be married in Hollywood. Unlike a great many stars who protest loudly against any infringement on their private lives and then go everywhere just to be seen, Vivien and Larry really enjoy the privacy they seek. During their recent visit east, they lived in the country and the familiar New York haunts of all the other Hollywood celebrities saw none of them. When they did stay in town to dine with friends, it was always at some restaurant off the beaten path. In Hollywood, Vivien has leased a small unpretentious cottage, while Larry maintains bachelor quarters at a near-by hotel. Because in only such a future will Vivien Leigh and Laurence Olivier find the ultimate happiness that they want so desperately and have fought so gallantly to achieve!